Flowering branches are symbolic and very decorative. White, pink, purple and yellow flowers, combined with green leaves, create a festive color palette for interior decorating. 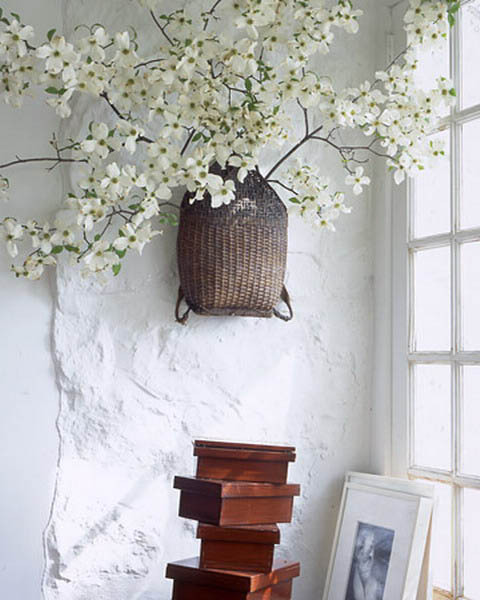 Flowering branches are the symbol of spring and absolutely perfect for spring home decorating. Flowering branches and green leaves bring fresh colors and optimism into room decor, offering simple and elegant table decorations and centerpieces. Floral arrangements are excellent way to decorate your fireplace mantel and add an unusual accent to floor decor also. 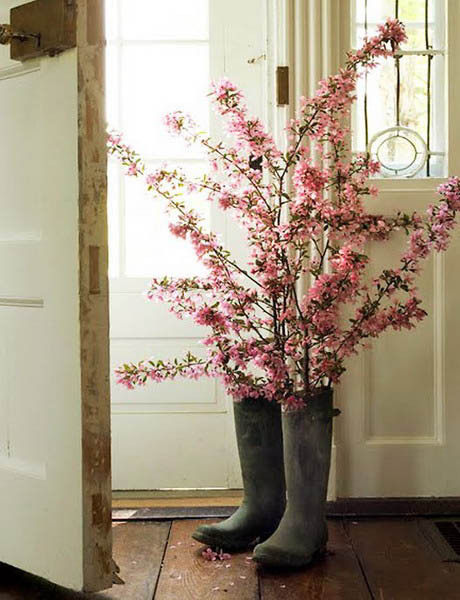 Creating charming floral arrangements with flowering branches are simple, eco friendly and inexpensive spring home decorating ideas that can dramatically transform your rooms. White, pink, purple and yellow flowers refresh your home and improve your mood, while the weather is still not cooperating. Artificial and natural decorative branches with spring flowers in white, pink, purple and yellow flowers create gorgeous table decorations and centerpieces. Simple shapes of natural branches and unique texture create attractive contrasts with tender spring flowers, adding unique spring accents to your room decor. Artificial and natural floral arrangements with branches and green leaves create a striking display, turning your fireplace mantel, console table, empty wall or coffee table into an eye catching focal point for spring home decorating or home staging. 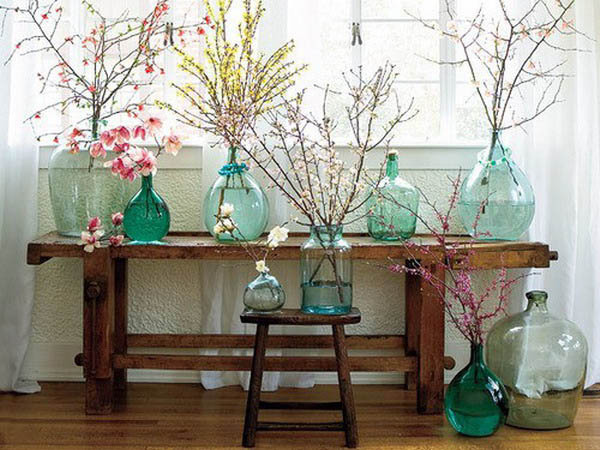 Floral arrangements with branches are your inspirations for stylish, airy and soft spring home decorating ideas. 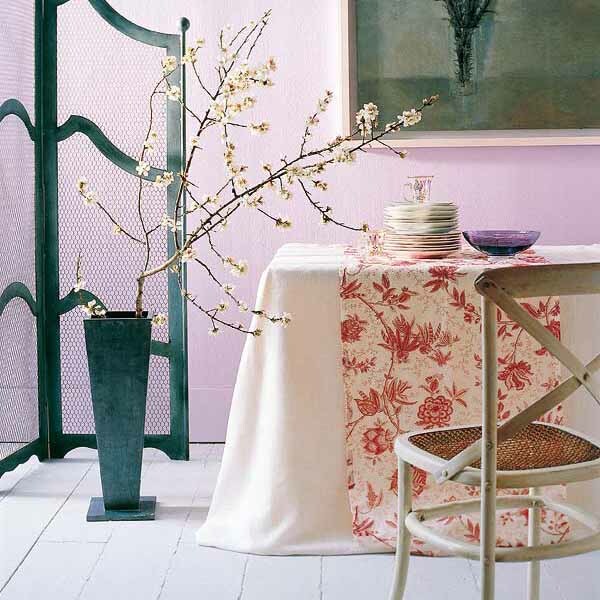 Flowering branches and green leaves create beautiful color palette which can inspire tyour room colors in spring. Tall vases are great for large flowering branches. Small vases are perfect for grouping floral arrangements, creating a striking composition inspired by spring. You can also use or plaster of Paris in a container for a firmer – more permanent hold. Also see to accent your finished piece. Flowering branches, green leaves and spring floral arrangements look romantic. Their beauty and elegance, tenderness and grace impress and delight anyone. Flowering branches of trees and shrubs have irresistable charm, reminding that the cold weather will go away and the s pring comes into our life with cheerful a dn bold colors. Fragile and graceful flowering branches in white, pink, purple and yellow colors bring a splash of color into your spring home decorating ideas, creating romantic and energetic mood that enhances your room decor.